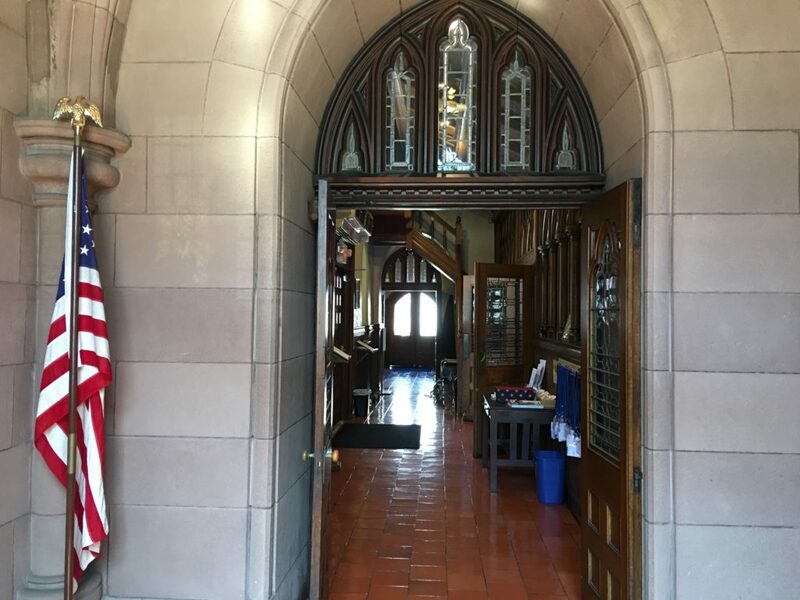 St. John’s Episcopal Church extends a special welcome to newcomers and anyone looking for a spiritual home. We seek to serve all persons in the community. As an outgoing and inclusive parish, we invite you to join us in our worship of Jesus Christ. The Church, located at 628 Main Street, Stamford, Connecticut. Convenient parking is located under the church, with the entrance on Suburban Street. The Parish Office is open Mon. 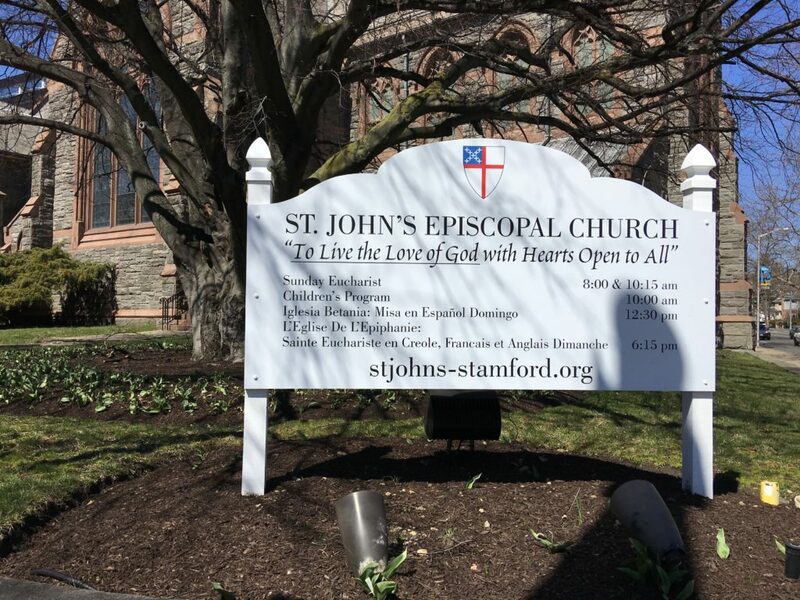 – Fri. from 9 a.m. – 4 p.m. Telephone is 203-348-2619, fax is 203-323-9834, web site is www.stjohns-stamford.org. Click here for more detailed directions. Services are celebrated every Sunday at 8:00 and 10:15 a.m. and Saturday at 5:00 p.m. Weekday Eucharist is Thursday at 12:10 p.m. Prayers for healing follow the main services. St. John’s mission is to live the love of God with hearts open to all, strengthened by joyful worship, inspired by the Holy Spirit and dedicated to serving Christ in the world. We live that mission both as we come together as a community and as we live our busy lives in the world. Some St. John’s members are engaged in one or more ministries and others come primarily to be fed in worship. You can read about St. John’s many programs and activities as you navigate our web site. If you need pastoral care or wish to speak with a priest please call our Senior Associate Rector, the Rev. Sanford A. Key (Office – 203-348-2619, ext. 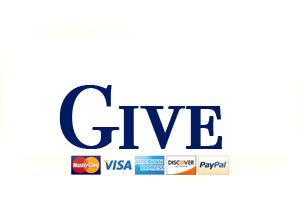 18, email – sakey@stjohns-stamford.org). Music is a special ministry at St. John’s. 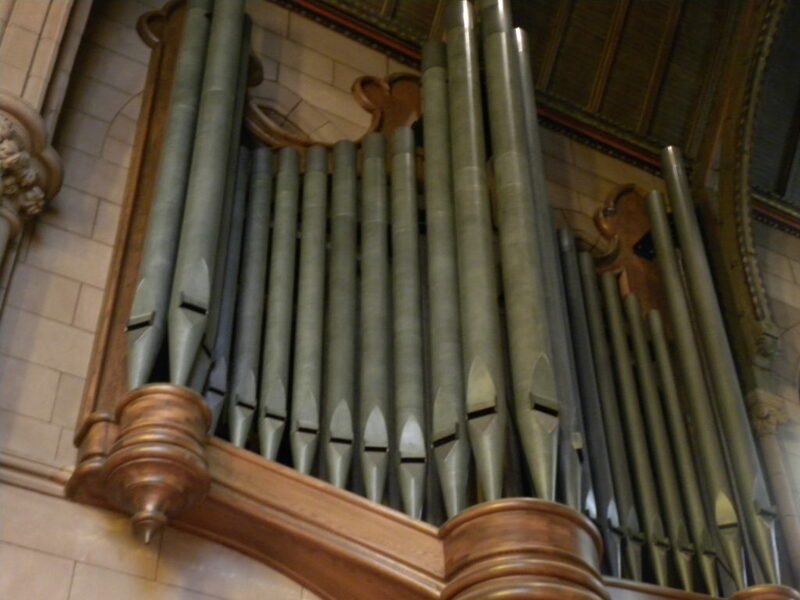 We have a wonderful organ and choir at the 10:15 A.M. service. Do you sing? There are often special programs during services and there are special events and concerts throughout the year. We also offer a beautiful Christmas pageant which is viewed by more than 1000 members of the community. Child care is offered during the 10:15 A.M. Sunday Service. Godly Play classes, available for children, kindergarten through third grade, are held each Sunday from September to June, starting at 10:00 A.M. After class children join us to celebrate the Holy Communion. Do I have to be an Episcopalian? No, everyone is welcome. In addition, all baptized persons who recognize Christ in the Sacrament are invited to share in the Holy Communion during services, regardless of denomination. Others are welcome at God’s altar for a blessing. No, neat casual attire is quite acceptable. Come for a Sunday morning service, continue to browse our website, or call the church office at 203-348-2619.